Decreasing calories too much can harm your weight-loss efforts. Cutting calories is every dieter's worst nightmare. When you're already surviving on boring meals of chicken breast, lettuce and celery the last thing you want is to see your weight plateau and drop your calorie intake even more. It doesn't have to be this way, though. Being smarter about your training, diet and lifestyle can help you smash through your weight-loss plateau without cutting calories. Count your calories without excessively cutting them. Active women need between 2,000 and 2,400 calories per day to maintain weight, according to the United States Department of Agriculture. 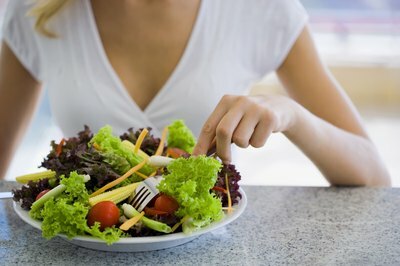 While you may need to drop slightly below this to lose weight, going too far can be detrimental. Big drops in calorie intake can negatively influence your metabolic rate, and women tend to be most at risk from this, according to nutritionist Lyle McDonald. You can cut your calorie intake down so low that your metabolism slows down and you store all your calories to compensate, meaning you don't burn them off. Bump up your protein intake. High protein diets help you feel fuller and may aid weight loss, according to dietitian Kathleen Zelman. Protein can also increase muscle mass, which boosts your metabolic rate. Aim to have protein in every meal from lean meats and fish, low-fat dairy products and beans. Swap your usual snacks for boiled eggs, beef jerky, cottage cheese or unsalted nuts. Increase your cardio intensity. Rather than plodding away on the treadmill like a hamster in its wheel, try interval training. This involves very short bursts of maximum intensity exercise for around 30 seconds, followed by a steadier period of two to four minutes. 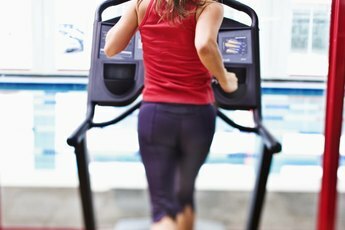 Interval cardio has a much bigger impact on your metabolism and burns more calories in less time than traditional steady-state cardio, according to Rachel Cosgrove, trainer and owner of Results Fitness, California. Perform two 20-to-30-minute interval sessions each week. 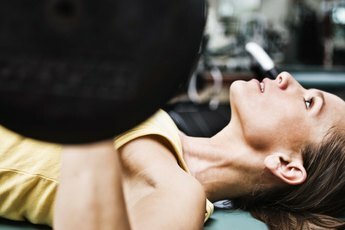 Add weight training to your routine. Lifting weights isn't just about building big muscles, it also burns calories and increases your metabolic rate. Perform two sessions per week, hitting your whole body in each one and focusing on multijoint moves such as squats, lunges, pushups and rows. Ask a trainer for assistance with exercise techniques. 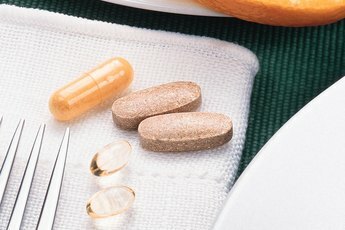 Speak to your health care provider before making any changes to your diet.